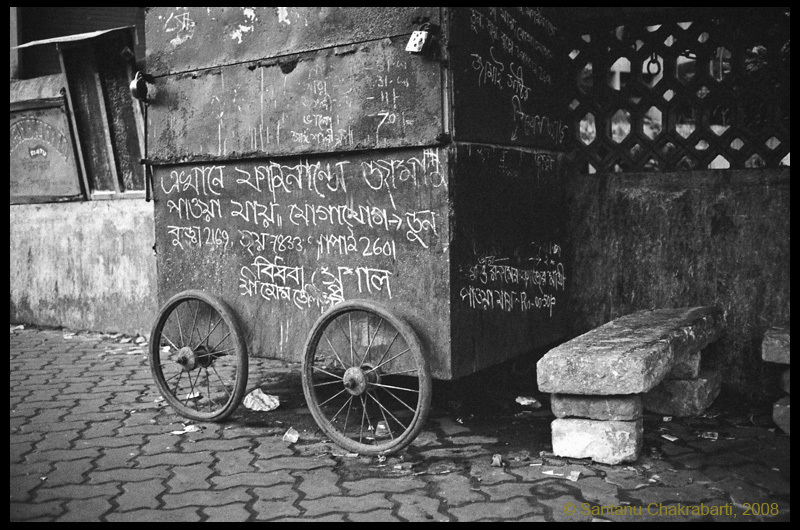 Caption: A handwritten advertisement in Bengali for grooms on easy finance. Someone must have jokingly written it for the person who runs the stall; most probably he also works as a match-maker in the locality. However it speaks in volume about the menace in India called "dowry system". Even today, in our society, it is parent's duty to find their daughter a suitable husband and for that they need to pay hefty sums to the parents of the groom. At some parts of India this may reach some million bucks in Indian currency. Copyright Notice: Copyright (c) 2008 by Santanu Chakrabarti. All rights reserved.